"The Thacher calculating instrument was patented in 1881. 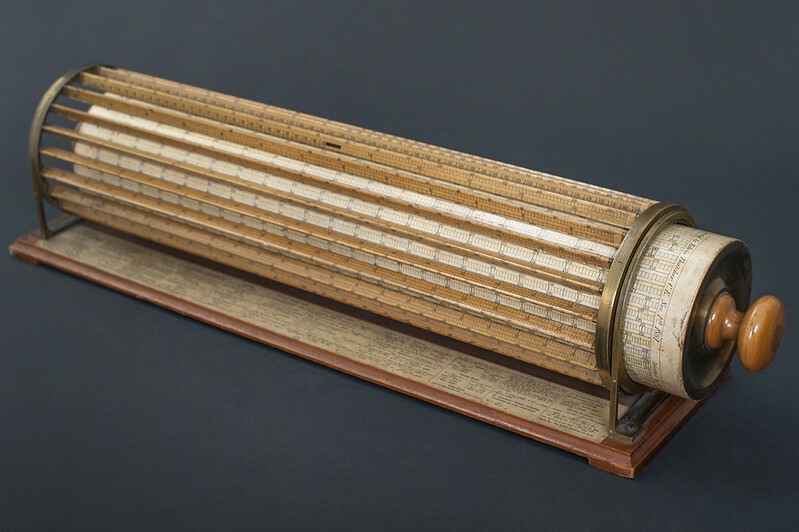 It was cylindrical and could slide back and forth, giving it the power of several individual slide rules. It could do multiplication and division, and calculate interest, roots and powers of numbers to about five significant figures. It was also accurate to within about .01%, incredible accuracy for that time. "This photo is free of all copyright restrictions and available for use and redistribution without permission. Credit to the U.S. Food and Drug Administration is appreciated but not required. For more privacy and use information visit: www.flickr.com/people/fdaphotos/"
I never needed to use it, but one was in the Cooper Union Computer Center. Kinda a reminder of "be glad you're not using these anymore"